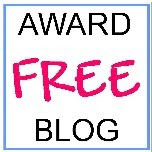 I received a post from a blog I subscribe to entitled Someone Like You. It is accompanied by the new release video of Adele’s song by that name. Not only is the melody hauntingly beautiful, but the words are poetic and the entire video is of a slender Adele in Paris walking along the Seine with the city beyond – all in black and white. This reminded me of the old days – you remember them – when we actually had to buy film for cameras and adjust the lighting. 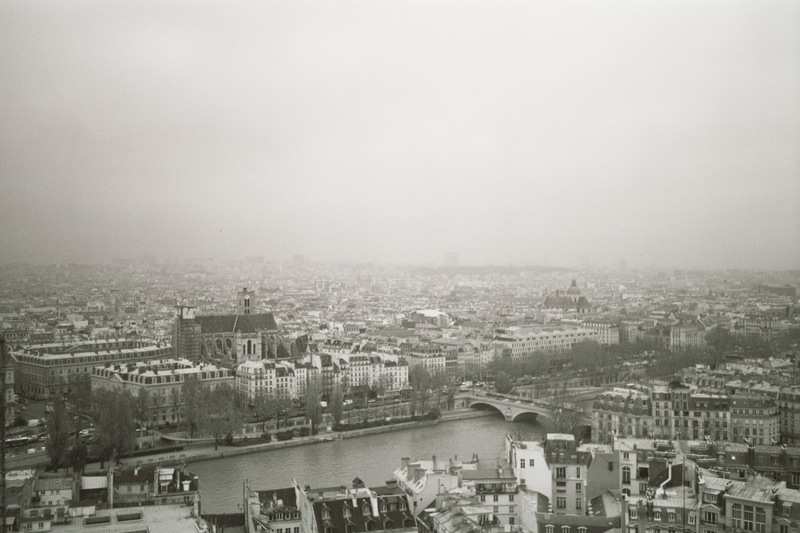 Somehow, before I had ever laid eyes on the City of Light, I had a vision of her in black and white and purchased the film to take a few pictures. Climbing to the top of Notre Dame’s Bell Tower provided the perfect perch for my photography. And I wasn’t disappointed. Two of my shots are below. The one with the gargoyle and the Eiffel Tower is my favorite. For me, Paris will always be grey and pink, smell like lavender, taste like Christmas – all that butter and wine – and sound like poetry. I guess Adele thought so too! 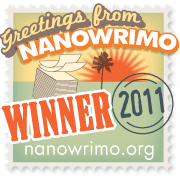 You are so lucky – living the writer’s dream! I only get small doses of Paris at a time, but they are always wonderful and seem to stay with me. When I run across a post like yours, it takes me back! Thanks so much! Thank you Annie. Can you tell that I LOVE Paris? What excellent photos, Renee! Spooky thought that the gargoyle is watching every movement down there on the Seine. I must have an attraction to gothic architecture. I really love the gargoyles and can’t help but wonder about the minds that created them. 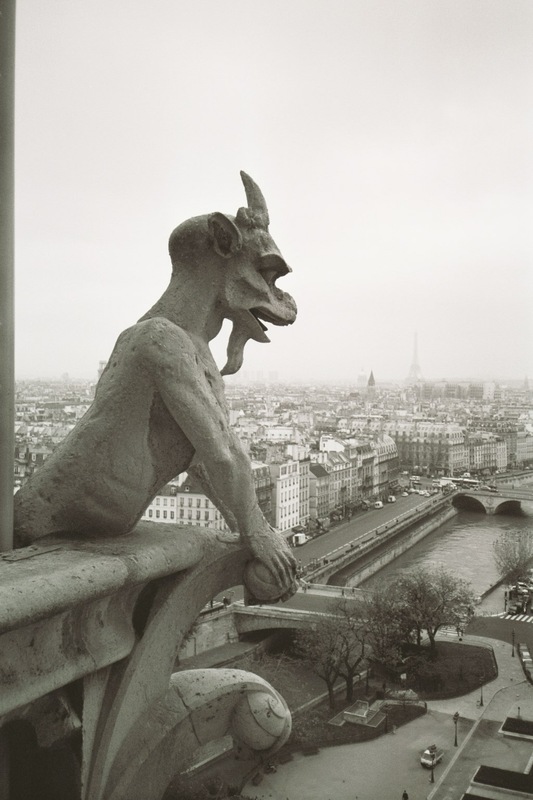 I adore that gargoyle photo. Wonderful! I’m so glad you liked it Katie. For the record, I did some serious leaning off the bell tower for this shot! Thanks for visiting and sharing your Adele moment!